On September 23 grassroots conservatives will host two important rallies in Washington, DC and Omaha, Nebraska. The one in Omaha, Nebraska is sponsored by HomeMakers for America; the Mom’s March for America is a national gathering of mothers centered in the Heartland of America and broadcast live across the nation via Livestream Internet and Salem Radio Omaha. The “Keep Your Promises” rally in Washington, DC is sponsored by Tea Party Patriots and FreedomWorks. Asking are you tired of the mainstream media doing everything possible to derail President Trump’s agenda and are you tired of “the Swamp” resisting the change that the American people voted for, our friends at the two organizations invite all patriots to join them at 12:00 pm at 200 New Jersey Ave NW Washington, DC 20001. 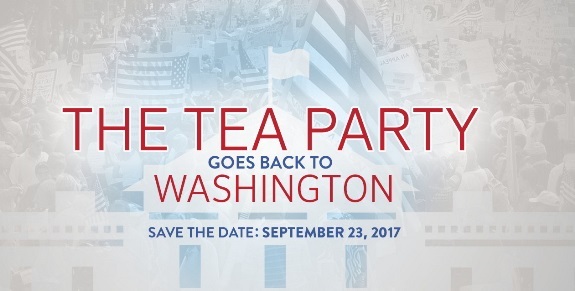 Tea Party Patriots and FreedomWorks are encouraging those who plan on attending to organize rides to D.C. If you would like to organize a bus in your area, TPP can help you by creating an event on their website and can send emails to supporters in your area. They also have a Facebook page set up so TPP supporters can connect with people in your area who also plan to attend. To create an event through the Tea Party Patriots website, follow the instructions below. Click the BLUE “Create an Event” button in the bottom right hand corner. Click the BLUE “Create Event” button in the bottom right hand corner. Someone on our staff will review the event. You will be notified when it is approved and up on the website. Tea Party Patriots also have a Facebook page set up so supporters can connect with people in their area that plan on going. http://tpp.us/923facebook. The Mom’s March for America—a national gathering of mothers to shine the light on the powerful influence of mothers in our homes, communities, and nation; and raise the bar of decency, civility, and liberty in our culture will be conducted at the Ralston Arena in Omaha, Nebraska. The Declaration of Mothers is the foundation and standard for the Mom’s March for America. If you support the Declaration of Mothers, Kimberly and the organizers of the Mom’s march invite to you join them. We believe there is at least one mother in every city and town in America who still cares about God, recognizes the importance of family and wants to see freedom prosper. We urge CHQ readers to sign the Declaration of Mothers and help to light up your city and show these Godly women that you are with them.